Peel and chop the sweet potato and apple into 2cm chunks. Remove the outer leaves and any tough stems from the cauliflower and slice into similar-sized pieces. Place everything into a steamer and steam for around 10 minutes, or until cooked through. 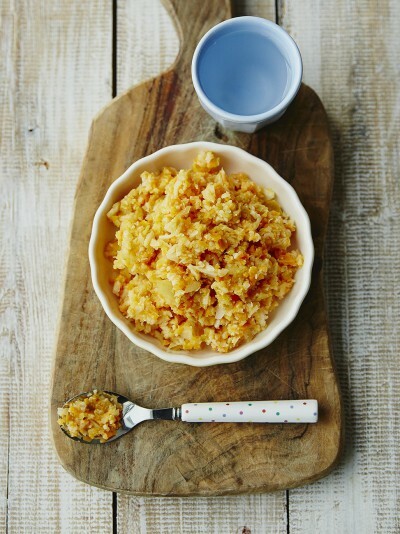 Remove from the heat, then either blend to a purée, pulse, mash and/or finely chop depending on the stage your little one is at (for more information on stages of complementary feeding, click here). If it’s a bit too thick, add a little milk or water to loosen, then leave to cool before serving.